I know what you are thinking, but then when I asked Amma if she knows of a specific Dosa preparation that’s specific to Andhra, she gave me this proportion. She said most folks in Andhra or at least the people she knew used this combo for their Dosa preparation and call it as Attulu. Of course these days the term Dosa has become more common and not that many continue to use the other term. Whatever might be the case, when we prepared this proportion, the dosas came out really crisp. Konda loves crispy dosas, most time will eat that crispy part as such without dipping into the side dishes. Well I guess that’s just her excuse for not eating the chutney, though she claims otherwise. I love crispy dosas too and making it spread out as thin as possible was so exciting. Refer the Basic Plain Dosa for details on how you grind and make Dosas. These dosas came out very crispy. I also made a cone dosa for Konda. After you spread and make the dosa, make a slit on one side, roll it towards one side so that you have a cone formed. Kids enjoy such shapes. This is joining Supriya who is having a month long celebration of Dosa, given my love for Dosas, I am excited sending her this. Check out the bloggers doing the Marathon along with me..
WOW what a crumbly and crispy dosai! Hey by boiled rice did u mean cooked rice or par boiled rice? This one is a lovely cone dosa. 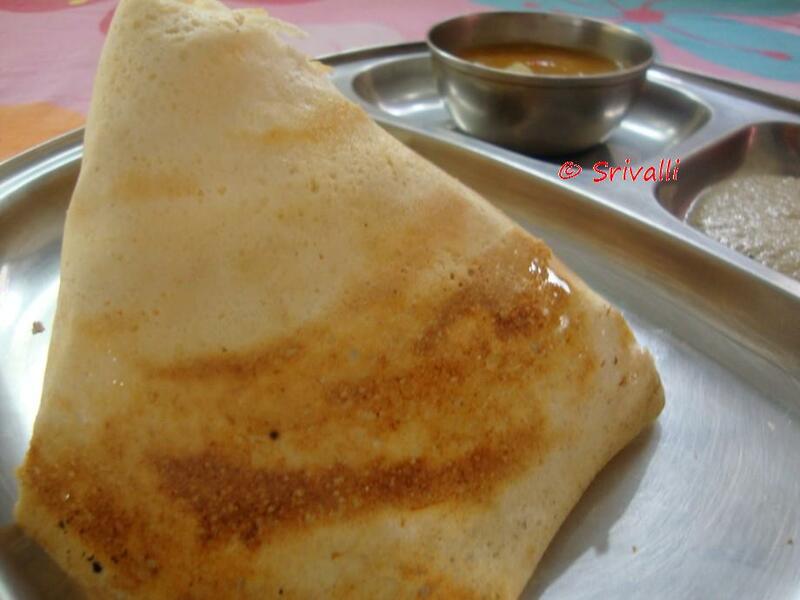 I just love dosa anytime and anyday…. ! wow such a crispy dosa..
very tempting! I am going to soak for dosa now! Perfect crispy and thin crust. Very crispy and delicious !! I love these dosas, Valli…. Very crisp dosa! I love paper dosa..
YUmm, love this crispy dosas..
My favourite dosai,love the crispness. My daughter loves these cone dosas. 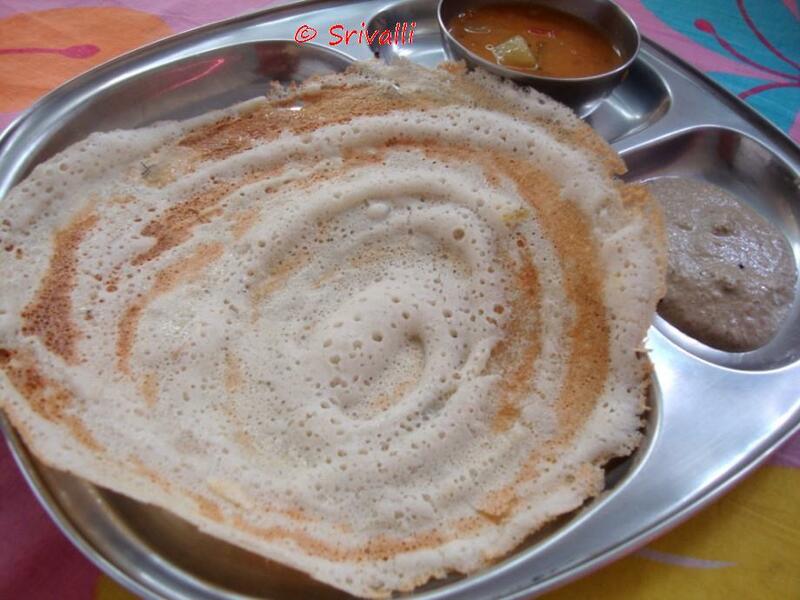 Looks so yumm..
Dosa looks so crispy, perfect and tempting..would love to try this recpe..thanks for sharing! Looks super crispy and yummy. Love the cone shaped dosas.